Dr. Dmytro Zubov received his Diploma in Engineering at V.Dahl East Ukrainian National University in 1995, PhD in Engineering (lower-level doctorate) at Donetsk National Technical University in 1998, PhD in Engineering (higher-level doctorate) at Kryvyi Rih Technical University in 2006. 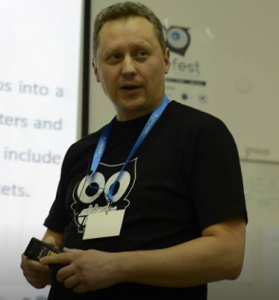 He worked as a software engineer at company “Lutri” (1996-1998), TA (1996-2000) and an assistant/associate professor (2000-2011) at V.Dahl East Ukrainian National University, an assistant professor at University of Information Science and Technology “St. Paul the Apostle” (2011-2015 and since Sept 2017). He was visiting professor at Tecnológico de Monterrey, Universidad Politécnica de San Luis Potosí, Soochow University. Ms Certified Professional. Ms Azure Research Award. IEEE member. He has more than 120 publications. Dr. Utku Köse received the B.S. degree in 2008 from computer education of Gazi University, Turkey as a faculty valedictorian. He received M.S. degree in 2010 from Afyon Kocatepe University, Turkey in the field of computer and D.S. / Ph. D. degree in 2017 from Selcuk University, Turkey in the field of computer engineering. Between 2009 and 2011, he has worked as a Research Assistant in Afyon Kocatepe University. Following, he has also worked as a Lecturer and Vocational School – Vice Director in Afyon Kocatepe University between 2011 and 2012. Between 2012 and 2017, he was Lecturer in Usak University, Turkey and also the Director of the Computer Sciences Application and Research Center at the same university. Currently, he works as Assistant Professor in Suleuyman Demirel University of Isparta, Turkey. 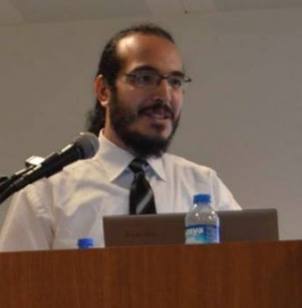 His research interest includes artificial intelligence, optimization, chaos theory, distance education, e-learning, computer education, and computer science. 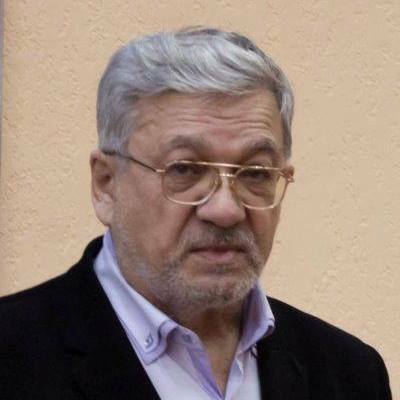 Prof. Aslanbek NAZIEV received his master degree in Mathematics and Programming, Ph D degree (Russian “Candidate of Sciences”) in Mathematics and Sc D degree (Russian “Doctor of Sciences”) in Mathematics Education, all from Moscow State Pedagogical University. Now he is full professor in department of Mathematics and Mathematics Teaching, Faculty of Physics and Mathematics, Ryazan State University, Ryazan, Russian Federation. His current research interests include Philosophy of (Mathematics) Education, Humanitarian Oriented Mathematics Teaching, Logical problems of Mathematics Education, Integrating of ICT and Mathematics in Mathematics and Science Education, Multidimensional Education, and many other topics. He is (co-)authored more than 120 printed works (including 7 books) and more than 100 electronic publications, participated a large amount of scientific conferences (13 just in 2017), in many conferences he was key-note speaker (4 just in 2017). 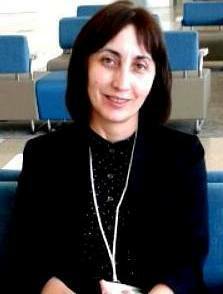 Dr. Manana CHUMBURIDZE has obtained PhD degree in Mathematics sciences in Ivane Javakhishvili Tbilisi State University of Georgia in 1999. She is Associate Professor of Department Computer Sciences at Akaki Tsereteli State University of Georgia. She is membership of The American Society of Mechanical Engineers (ASME) and member of the Scientific and Technical Committee of Editorial Review Board on Mechanics and Computational Sciences in the WASET (World Academy of Science, Engineering and Technology) organization of USA. She is author several articles and active participant different international conferences in Applied Mathematics, Analysis and Algorithms.